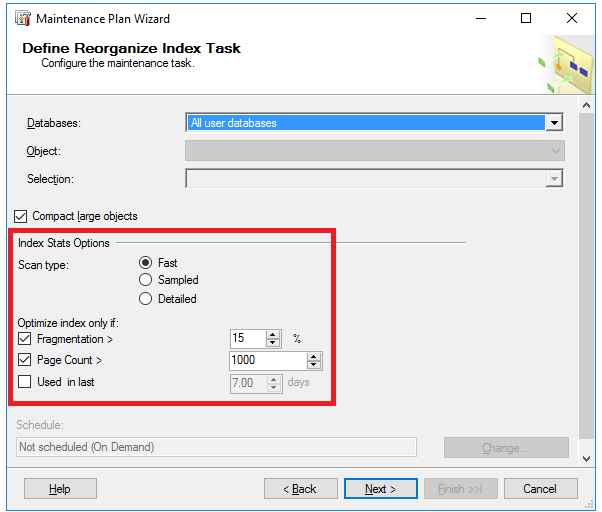 When you perform a SQL Server Online Index Rebuild operation, introduced for the first time in SQL Server 2005, the index will not be taken down. But at a specific point, in which the new index new is built and switched from the old structure of the index, a special kind of lock, Schema Modification (SCH-M), will be granted. This lock may cause blocking if your database server is busy. Just like a book index, SQL Server index has a similar purpose, to provide faster searching, gathering and sorting of information from a database, without need to go through all of the objects over and over. Instead, an index provides the gateway between the table rows and query engine, in order to achieve better both database and query performance. 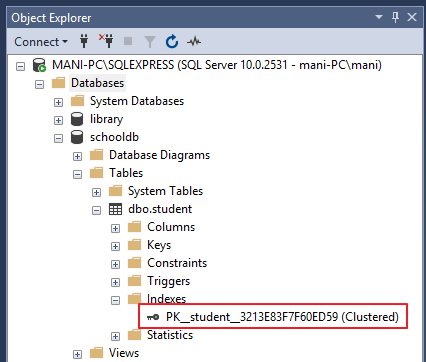 A SQL Server Computed Column is a virtual column that is not stored physically on the table, unless it is previously specified as PERSISTED. A computed Column value is calculated using a specific expression that can be constant, function, data from other columns on the same table or a combination of these types connected together by one or more operators. It is common assumption that an Index Seek operation in a query plan is optimal when returning a low number of output rows. In a scenario involving residual predicates, an Index Seek operation could be reading a lot more rows than it needs into the memory, then each row is evaluated and discarded in memory based on the residual predicate and returns low number of output rows. 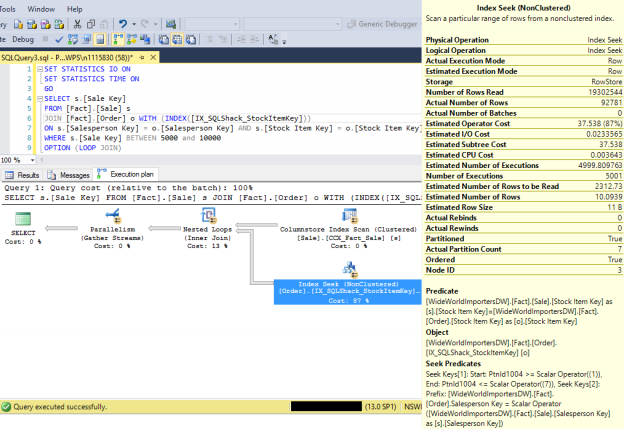 This article will explain the concept and the impact of Residual Predicates in a SQL Server Index Seek operation. I work for a large, multinational financial institution. Like most companies in this field, ours is conservative and subject to much regulatory oversight. The first has meant that we’re slow to adopt new technologies. We need to be really, really, really sure things won’t break, customer accounts won’t vanish or lose their balances and that the regulators will not raise any red flags. Everything we do is subject to the scrutiny of our internal auditors, even something that seems simple, like rerunning a production job that failed because the host compute was down. I really mean everything! As a DBA, I am often asked why is something performing slow, what and why statistics need to be updated or what will cause them to be “off”. My initial question to clients when they pose these questions to me is what changed on your end? Did the data change significantly and did the rebuild or reorganize index job run? Before I get into the answers to these questions from my clients, let me give you some background. So, just to clarify, for most of my clients, I work as a remote part-time DBA, that being said, I manage their database from every aspect including setting up servers, backups/restore, troubleshooting, managing their index’s, etc. and again remotely. 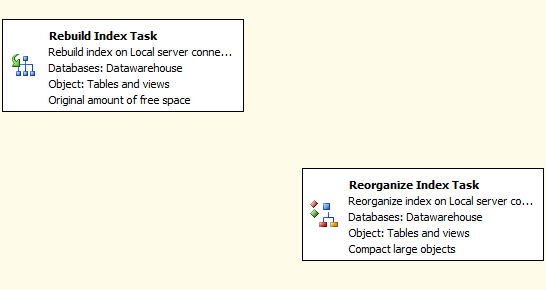 So normally, I have setup jobs that will manage their index’s ranging from a weekly rebuild or even sometimes I use one that I’ve designed that makes a choice to either rebuild or reorganize an index based on fragmentation level. The “general rule of thumb” is reorganizing the index for fragmentation from 5% to 29% and rebuild when 30% plus. Those are pretty standard numbers I did not make them up. With the introduction of Microsoft’s new In-Memory OLTP engine (code name Hekaton) the familiar B-Tree indexes were not always the optimal solution. The target of the Hekaton project was to achieve 100 (hundred) times faster OLTP processing, and to help this a new index was introduced – the hash index. 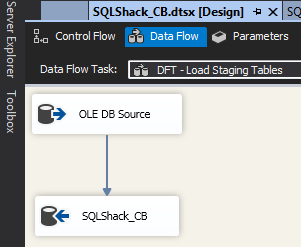 By default, SQL Server stores data logically in the tables as rows and columns, which appear in the result grid while retrieving data from any table and physically in the disk in the row-store format inside the data pages. 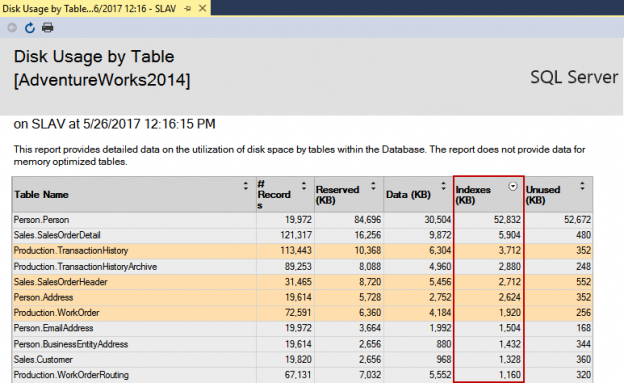 A new data store mechanism introduced in SQL Server 2012, based on xVelocity in-memory technology, in which the data is stored in the column-store data format. This data store mechanism called the Columnstore index. Why is my database so slow? This query used to be so much faster. Why does it take so long to rebuild my index? How come it was fine last month? Every day I am asked these types of questions by clients. Every day! A lot of database developers and application developers do not realize that indexes are ever changing entities within your database or rather they need to be monitored closely and managed periodically to remain efficient. I cannot even count the times someone tells me “but we have index’s on this or that column and it was fine last month” and so on. All while they fail to realize or even tell me that the database just took on, updated or deleted 1,000,000 records for example, which would definitely change the footprint of the data, making the index’s unsound or in need of help. Even adding 50 new users that use the data differently could require new indexes. That being said, I decided to automate a quick and easy data gathering and reporting job that helps to answer these questions. 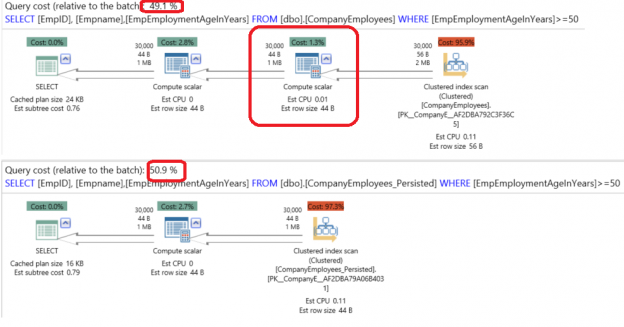 Most of the time query performance questions can be answered by determining the fragmentation levels of index’s, if there are missing index’s, duplicate index’s, unused index’s and what are the heavy hitters in regards to queries and are queries running in memory or to disk and how many executions. 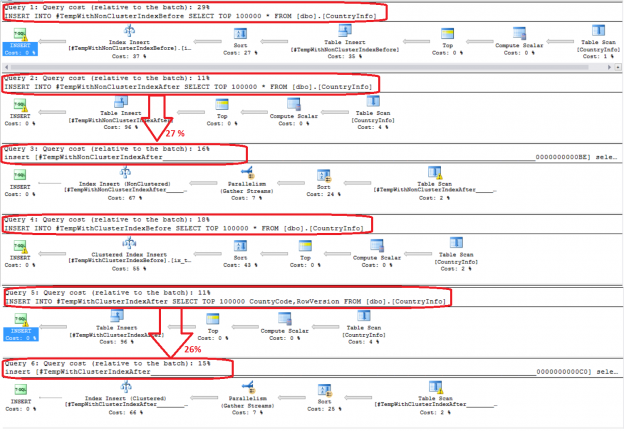 My favorite thing to do with SQL Server is automate, automate and automate the tasks that are asked of me over and over. SQL Server indexes are created to speed up the retrieval of data from the database table or view. The index contains one or more columns from your table. 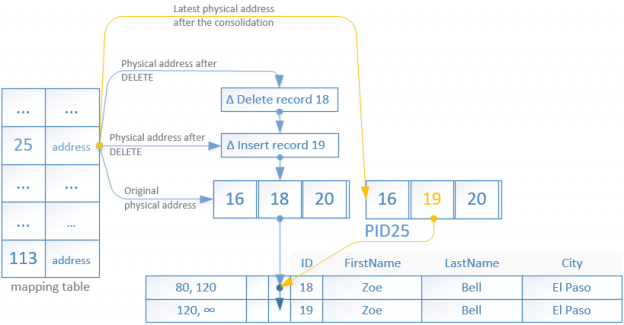 The structure of these keys are in the shape of B-tree distribution, enabling SQL Server to find the data quickly.